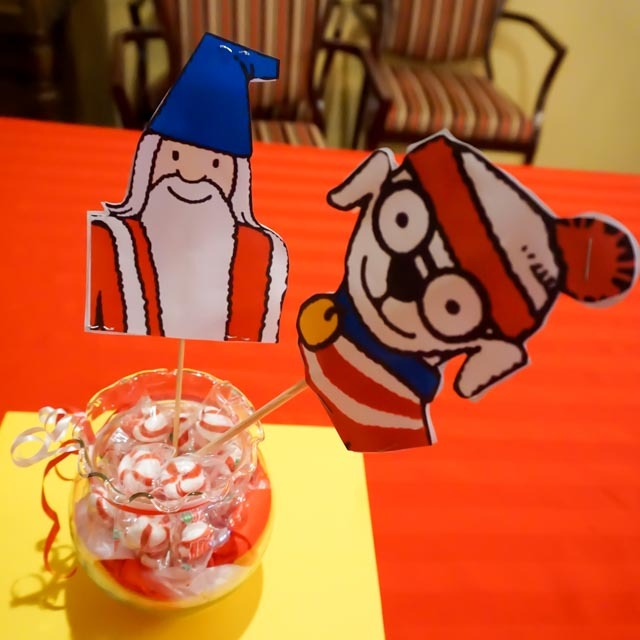 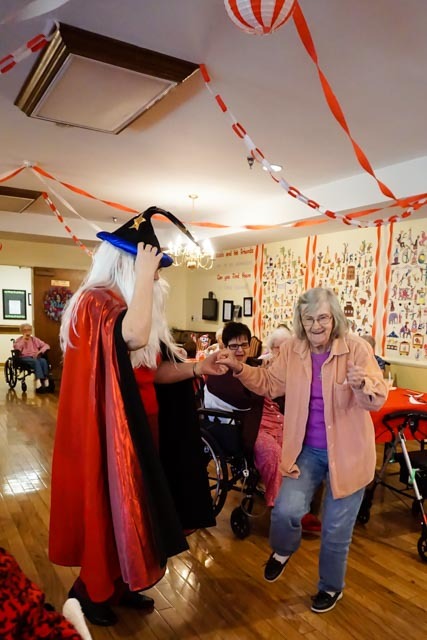 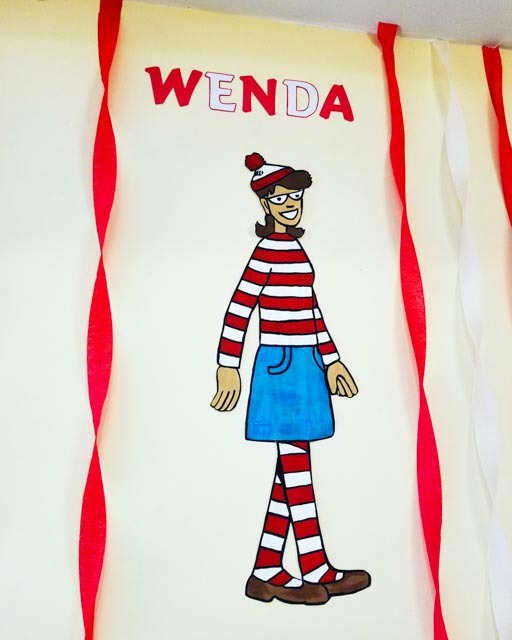 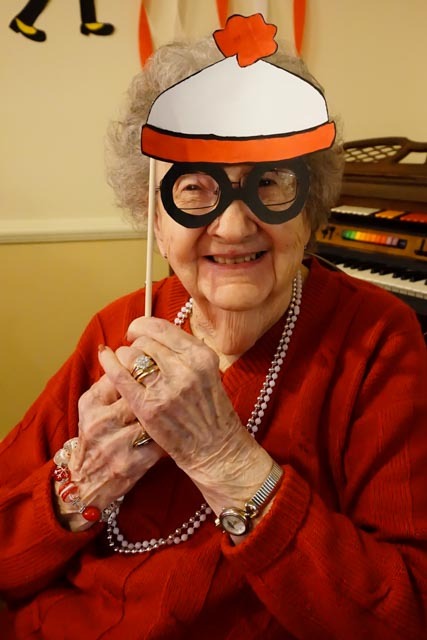 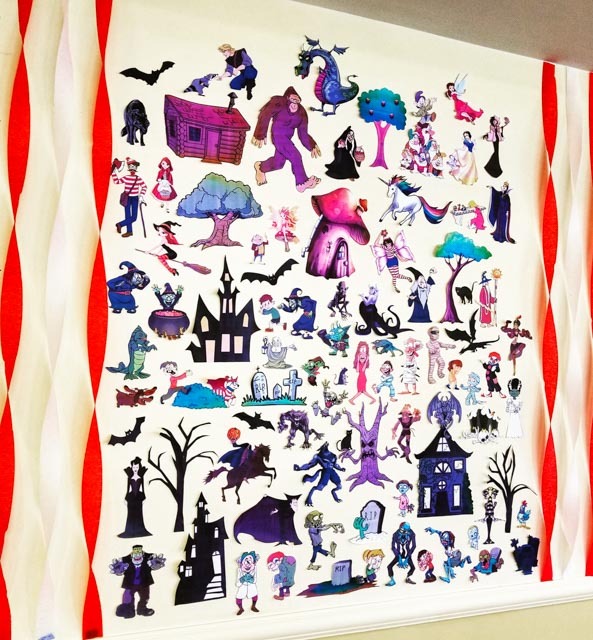 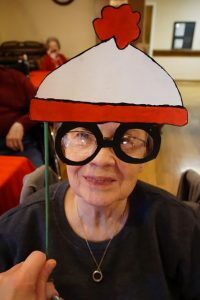 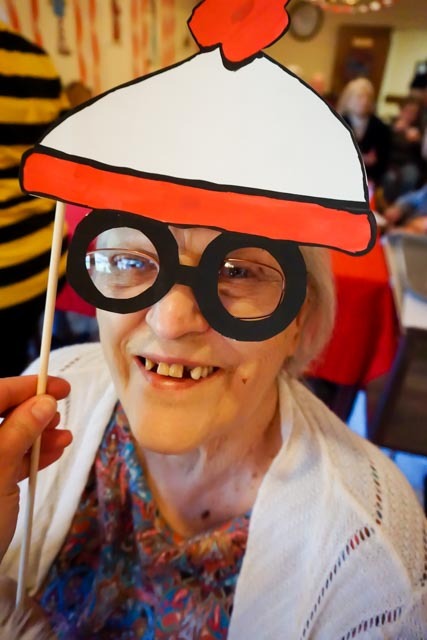 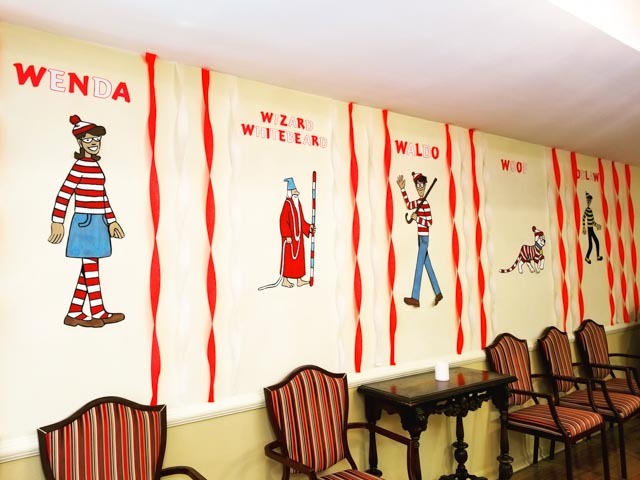 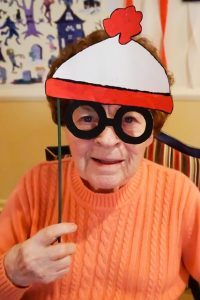 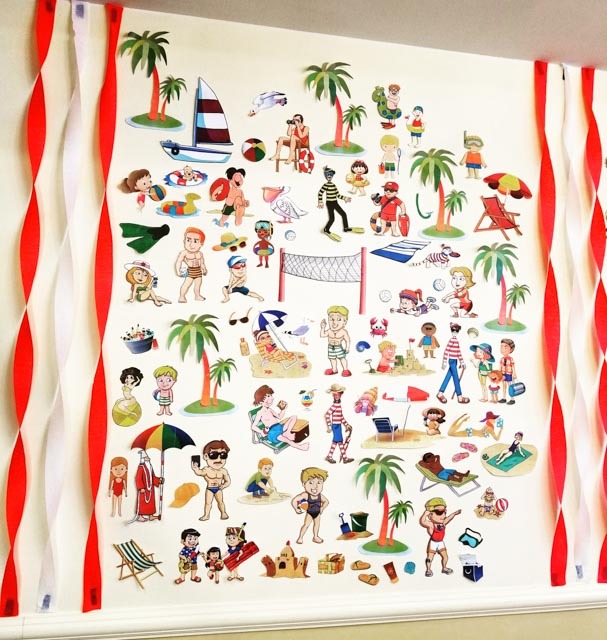 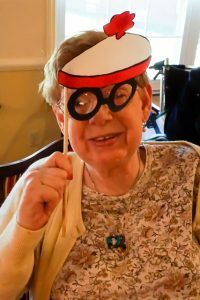 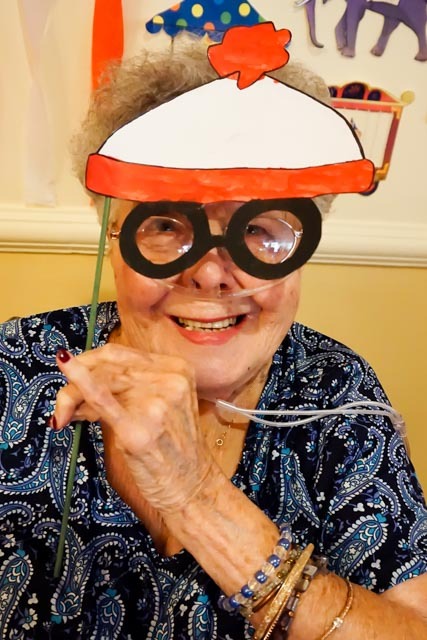 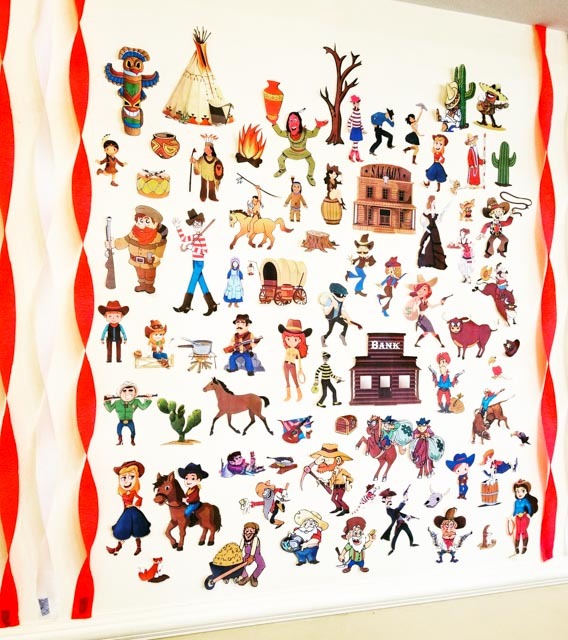 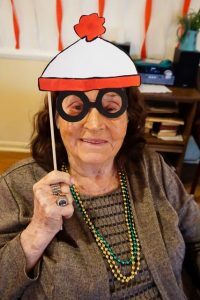 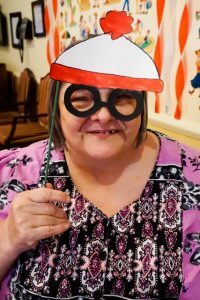 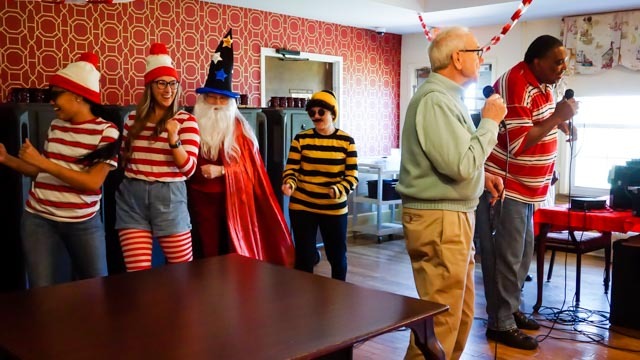 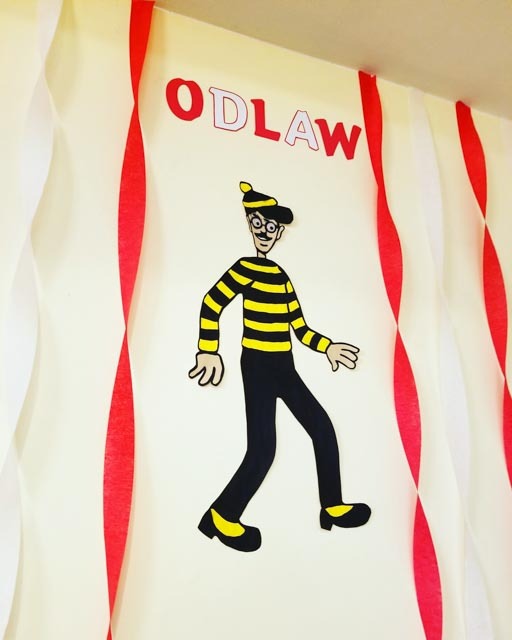 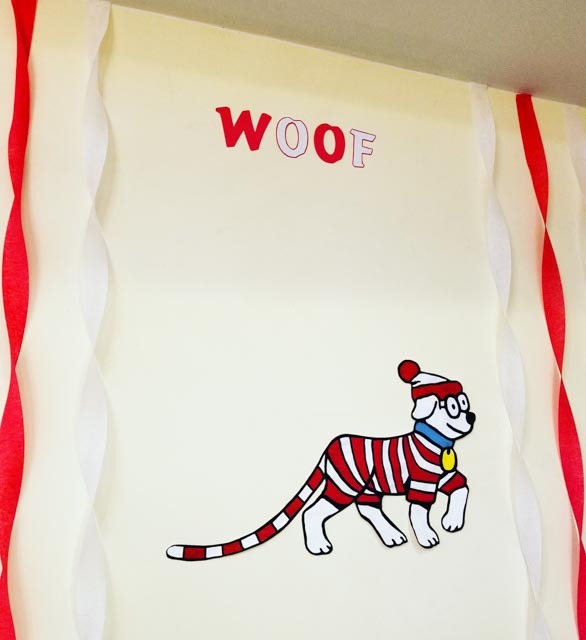 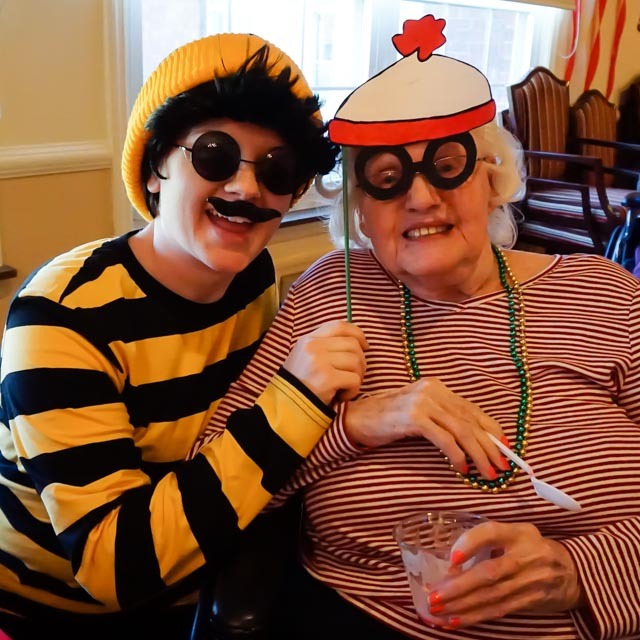 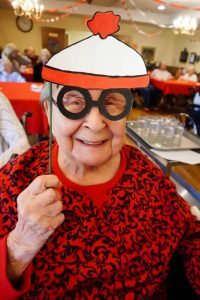 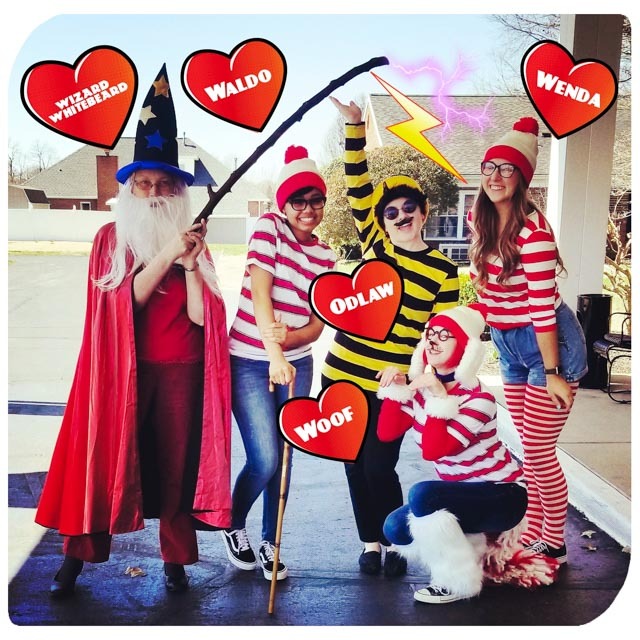 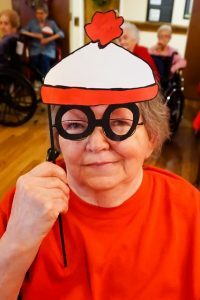 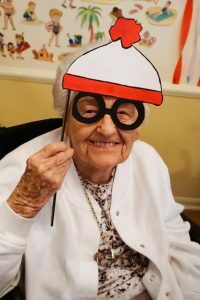 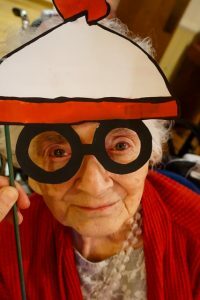 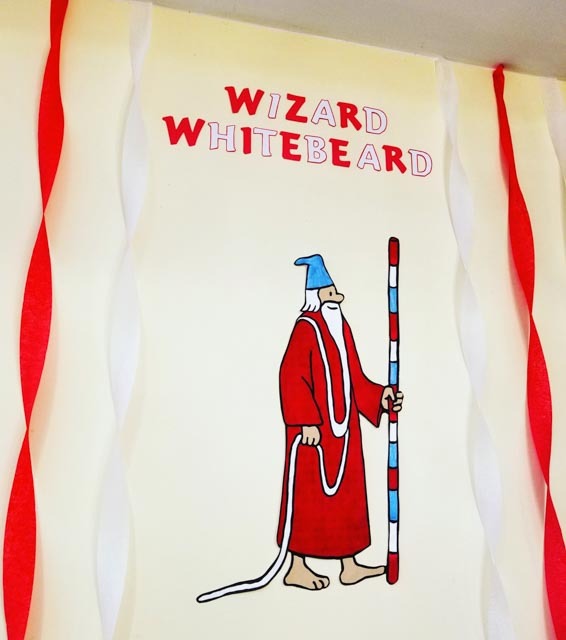 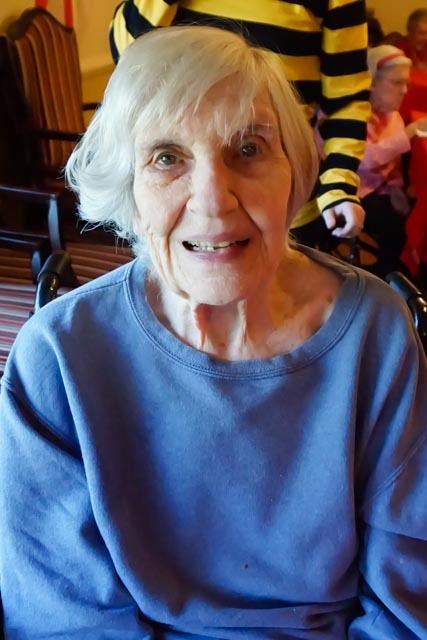 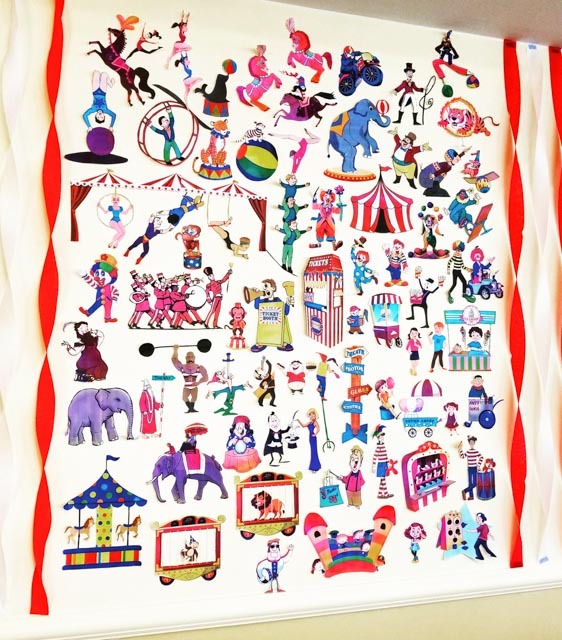 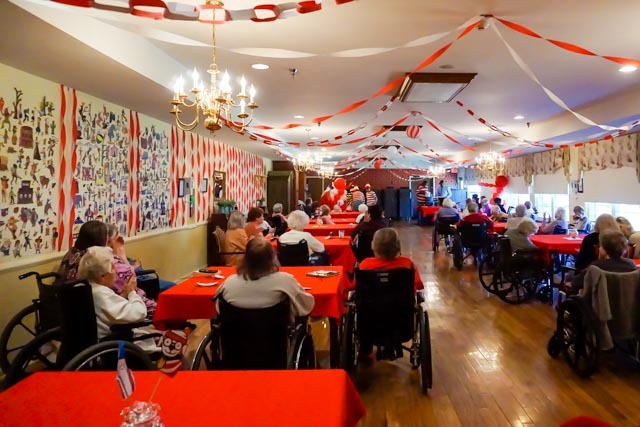 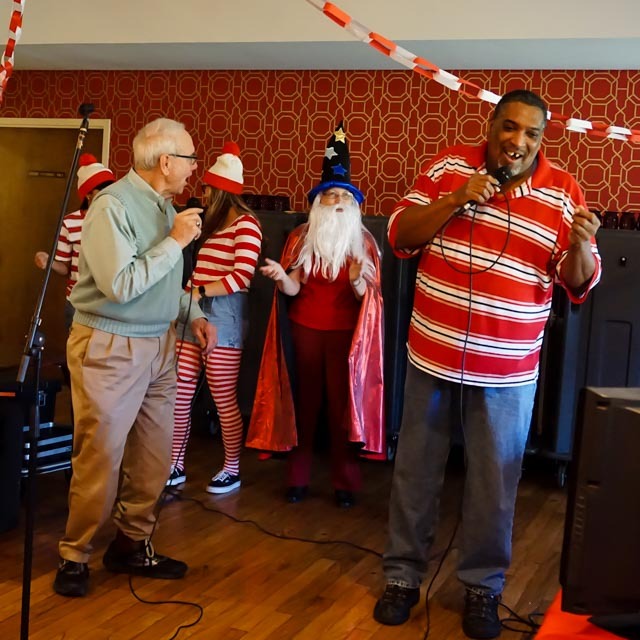 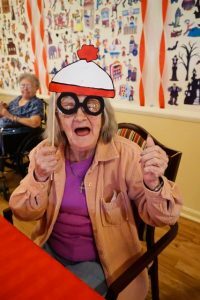 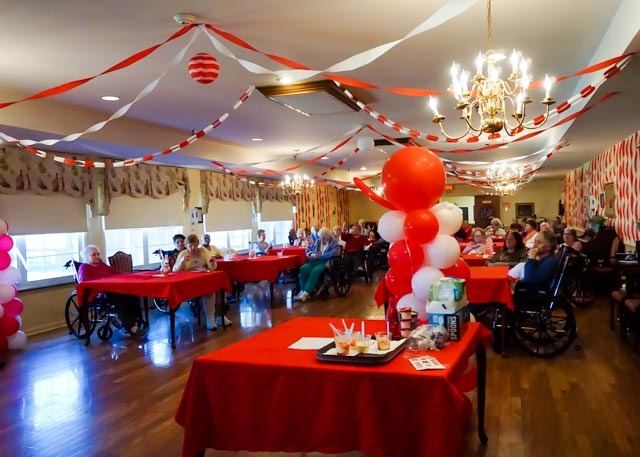 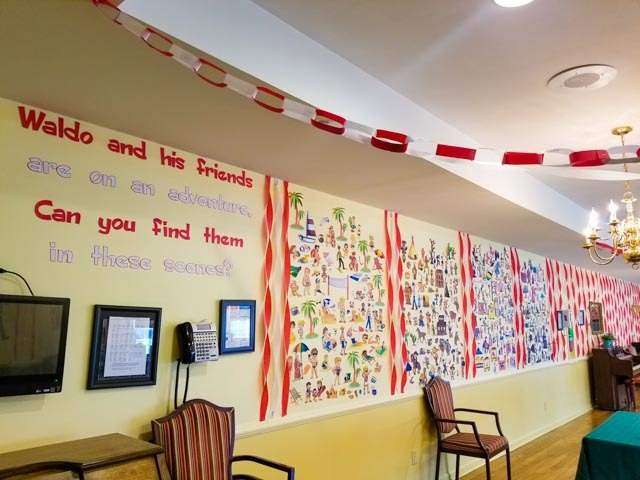 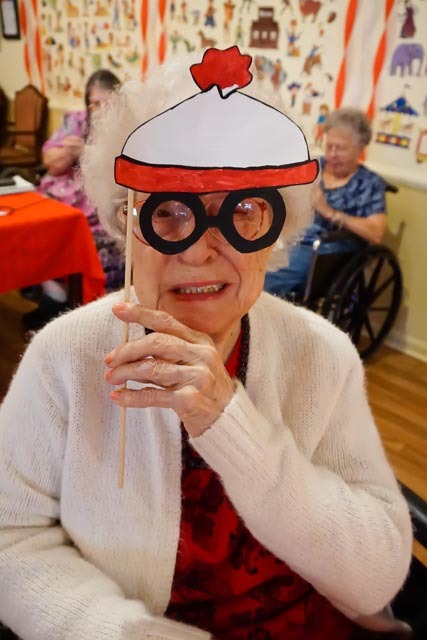 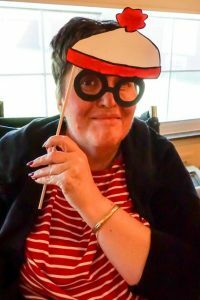 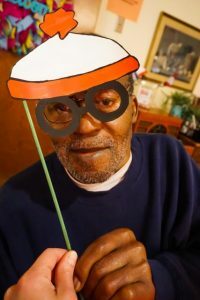 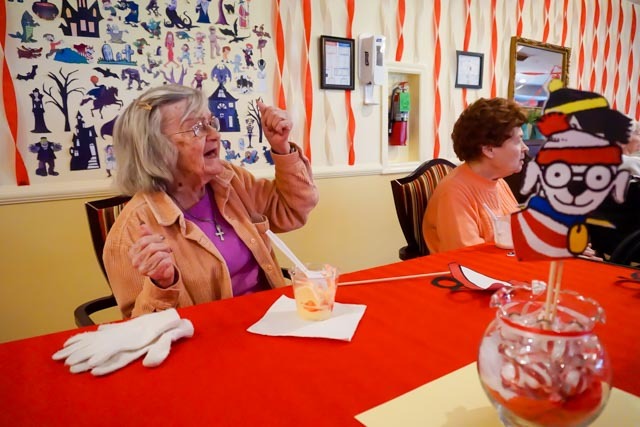 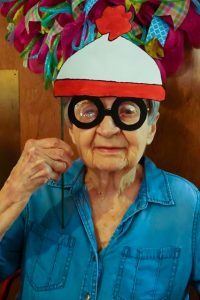 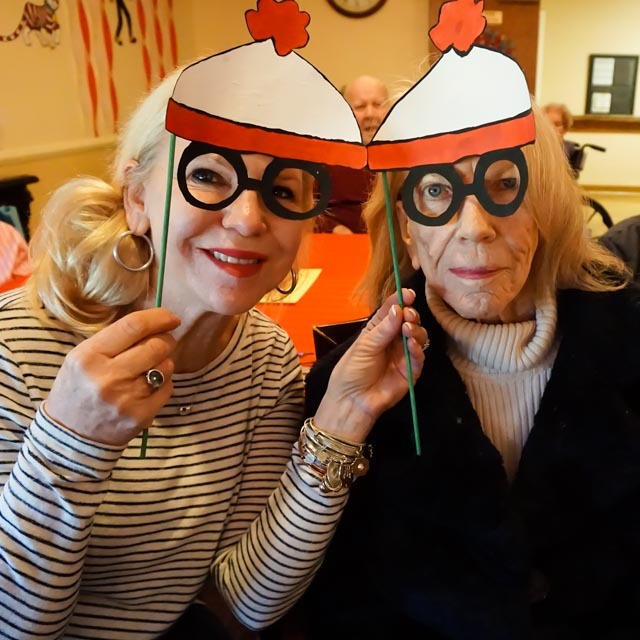 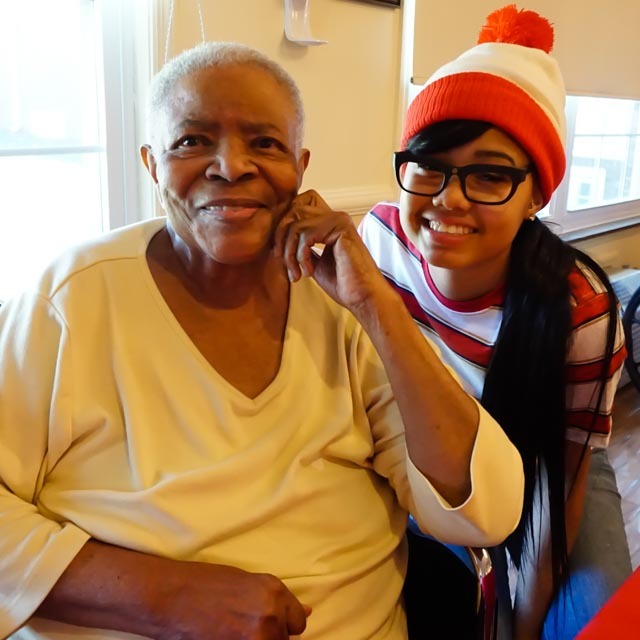 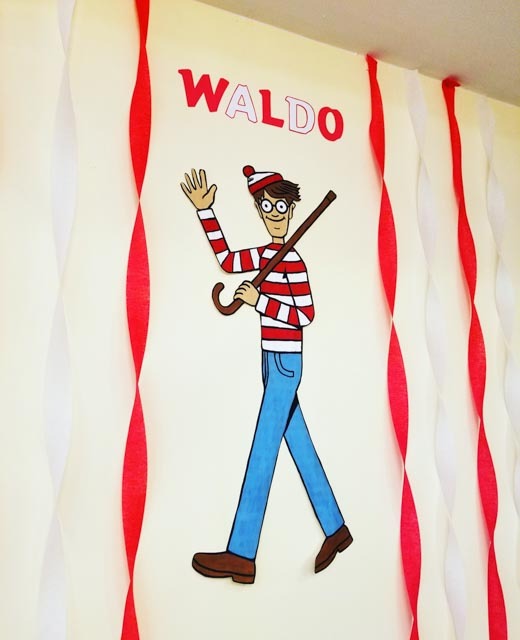 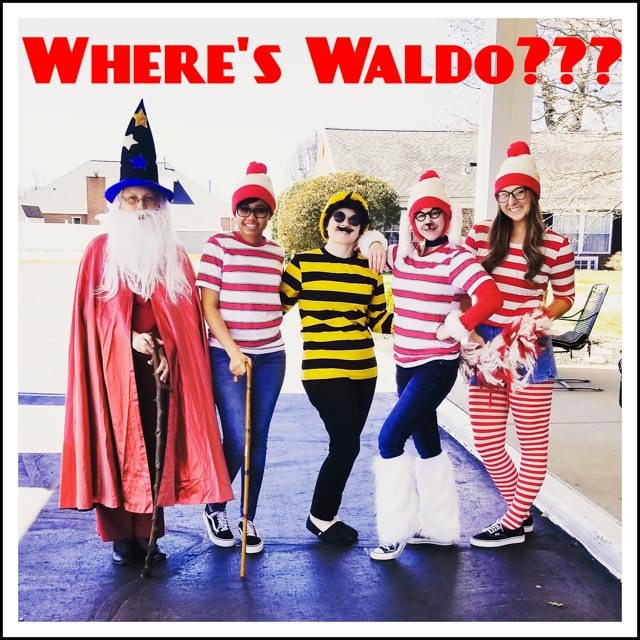 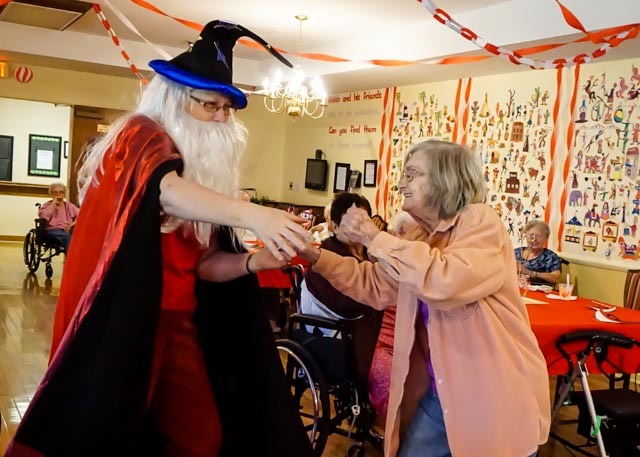 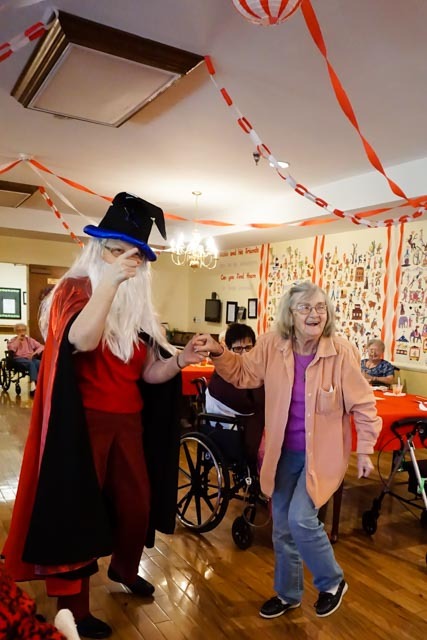 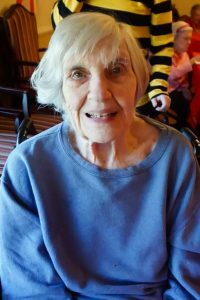 During craft activities throughout March, the residents painted the Where’s Waldo decorations and the photo prop accessories used for the event. 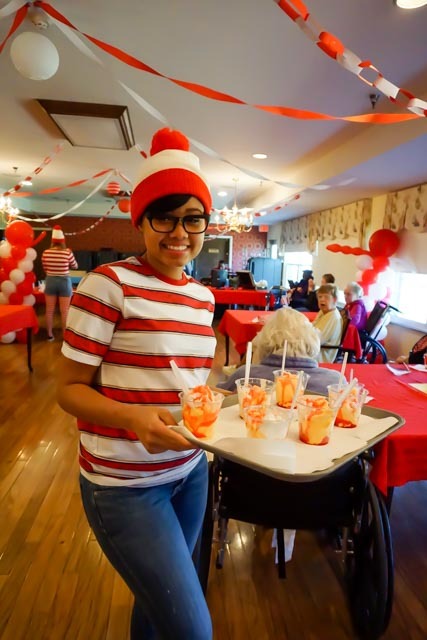 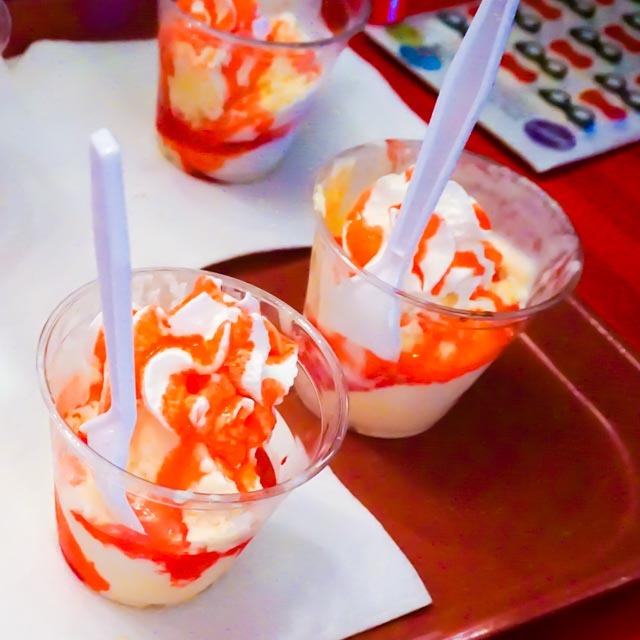 The “Waldo” staff served our residents red and white sundaes for refreshments! 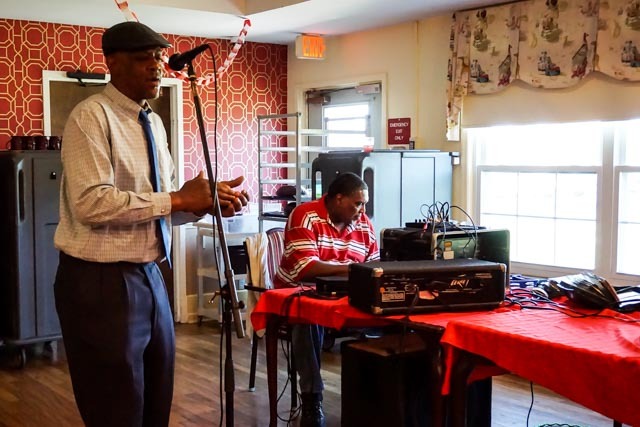 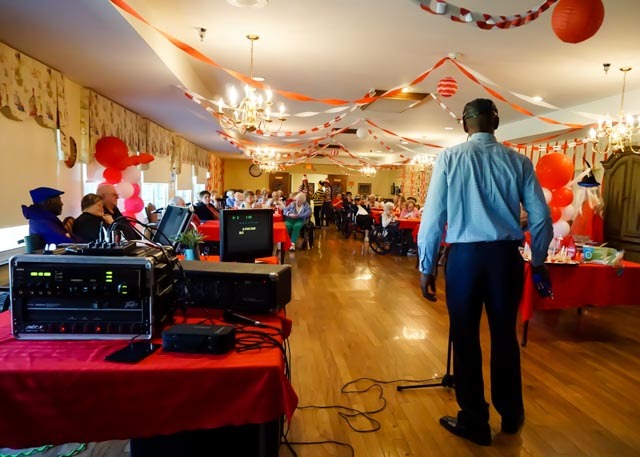 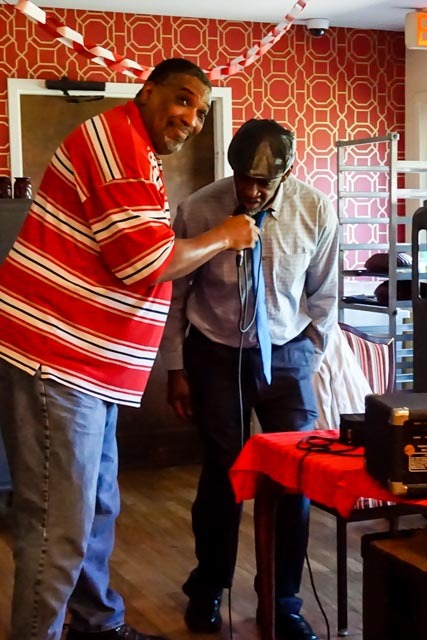 DM Karaoke provided our music entertainment! 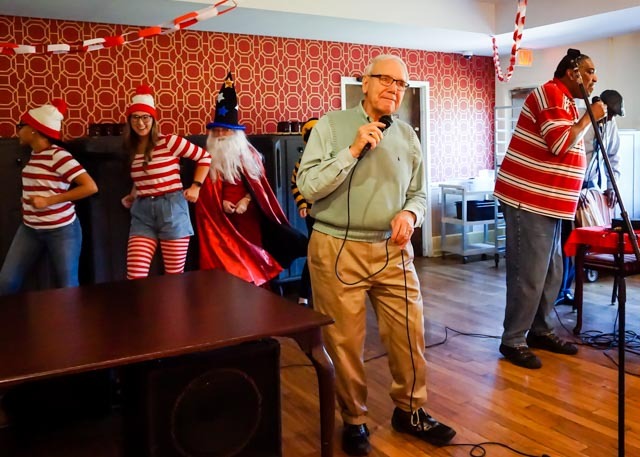 Facility owner, Bruce Baker, accompannied by the Waldo backup dancers, closed the performance by joining DM Karaoke in their final songs! 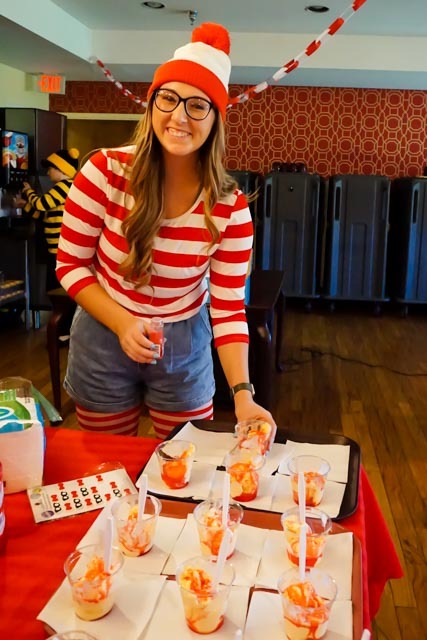 We would like to thank all the staff members who assisted with this event! 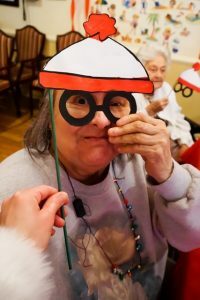 This entry was posted in 2019 Events, Monthly "Theme" Events. Bookmark the permalink.